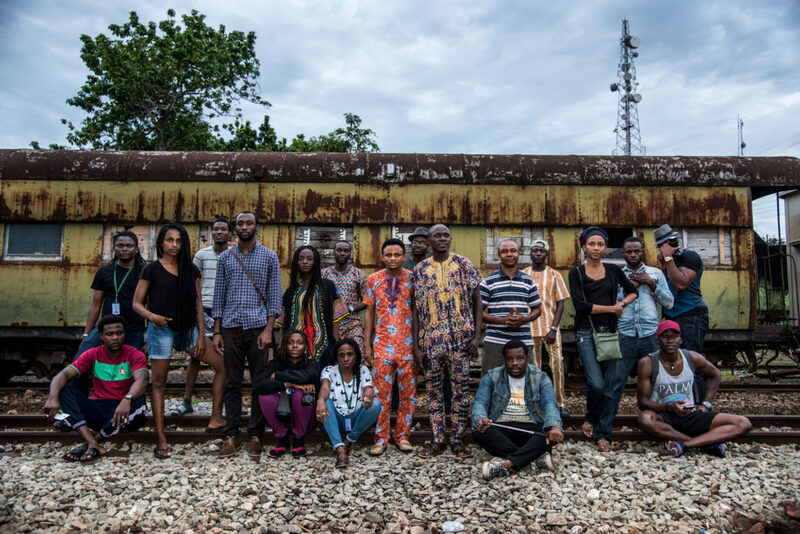 It’s day 21 of the 6th edition of the Invisible Borders Trans-African Road Trip: Borders Within – Trans-Nigerian Road Trip 2016. We have travelled through Lagos, Benin, Warri, Asaba, Enugu, Umuahia, Port Harcourt, and today we arrived Aba. All of these places, and the encounters we’ve had in them, have been extremely enriching. 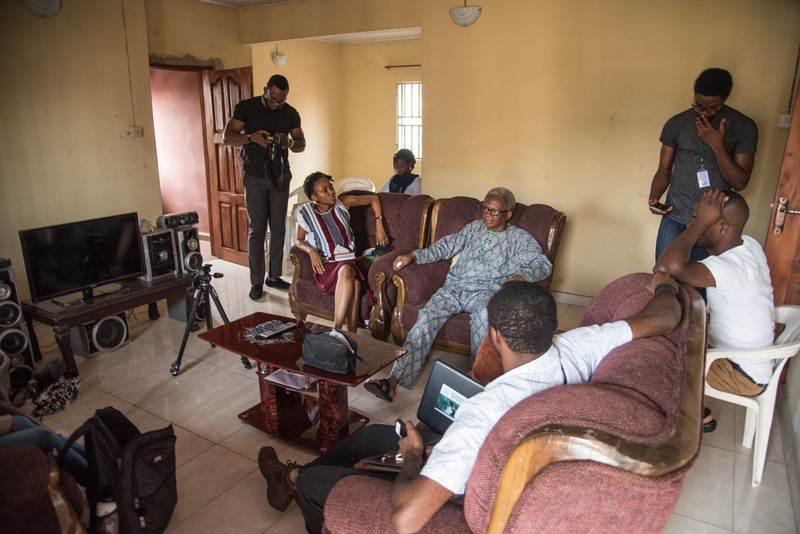 Our first stop on the road trip was Benin, where we got to visit with elders of Ikpe Waterside community. We had an interesting conversation with Mr Okuna, whose father founded the community in the 1930s. While in Benin we also visited Igun Street, which is known for its bronze works. Honourable Mike Eholor, a bronze artist himself, gave us some insights into the workings of that community and how they have been able to hold on to the secrets of their trade for so long. After a fulfilling stay in Benin, we moved on to Warri, where a serendipitous encounter at F.G.C. Warri led us to the home of Pa J.O.S. Ayomike, a prominent writer and historian. In a show of generosity that surprised and warmed the hearts of the group, he donated many copies of his titles to Invisible Borders, after signing each one. Pa Ayomike also made a phone call to the curator of the Nana Living History Museum, making it possible for us to visit the museum on a Saturday. Our next stop was Asaba, where Mr Charles Okonkwo, a native of Asaba and father of Borders Within participant Uche Okonkwo, chaperoned the group for the first day. We visited the home of Mr Okonkwo, and he narrated a compelling account of his experiences during the Nigerian Civil War. We were also privileged to meet with Ogbueshi Augustine Ndili, a writer and scholar of Asaba history, as well as the Iyase of Asaba. On our second day in Asaba we visited Cable Point and were delighted to interact with the hospitable community, which is made up of largely Hausas. Cable Point has been home to the Hausa community in Asaba since the 1880s. From Asaba we went on to Enugu. We visited the National Museum of Unity, with its collection of art and relics from all around the country. We also visited the State Central Library and were granted audience by the library director, Mr F.C. Eze. We were impressed by the Nigeriana Section of the library which boasts books and newspapers from as far back as the 1970s. We equally had the privilege of meeting with civil war veteran John C. Ifebunandu, who engaged us on the subject of the civil war, national unity and the meaning of nationhood. Participants of Invisible Borders listens Mr Charles Okonkwo (Father to Uche Okonkwo, one of the participants of Borders Within 2016) as he recounts his experiences of the Nigeria Civil war as well as the history of Asaba. 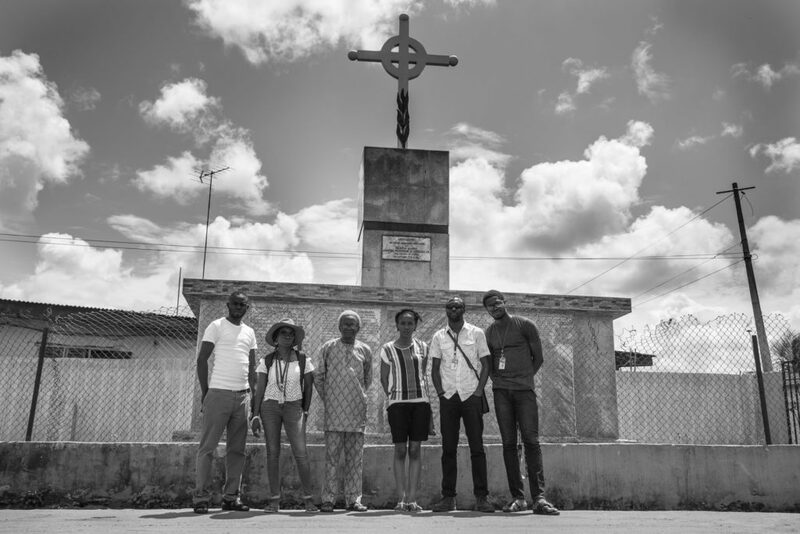 Image by Emeka Okereke, courtesy of Invisible Borders Trans-African Organisation. An image symbolising the visit to the Iyase of Asaba, a.k.a the Prime Minister of Asaba who embodied the hospitality we experienced through out our stay in Asaba – patiently satisfying our many curiosities with regards to the history of Asaba and of Nigeria as a whole. Image by Austin Irabor, courtesy of Invisible Borders Trans-African Organisation. In Umuahia, we visited the Ojukwu Bunker and the National War Museum. Walking down the steps leading to the cavernous depths of the bunker was a particularly powerful experience that was not lost on us. Also in Umuahia we were granted audience with HRM Eze Ikechukwu Adikwu, Nnaji II of Umunna Nsulu Kingdom, who shared with us about the history of Umuahia and his experiences of the civil war. 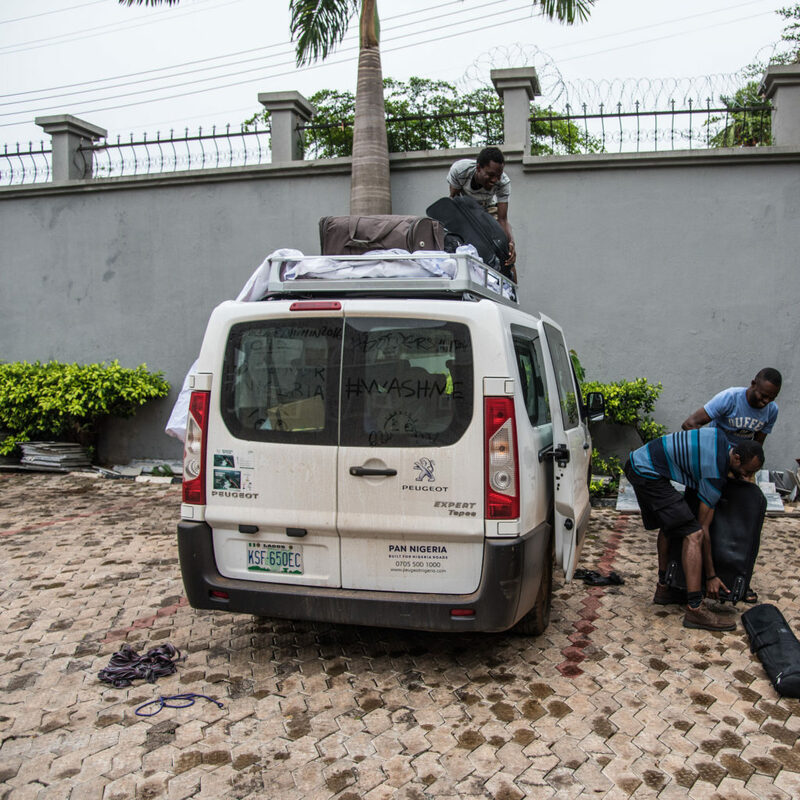 From Umuahia we drove to Port Harcourt, where our gracious host, Nengi Omuku, ensured that we had a great experience. 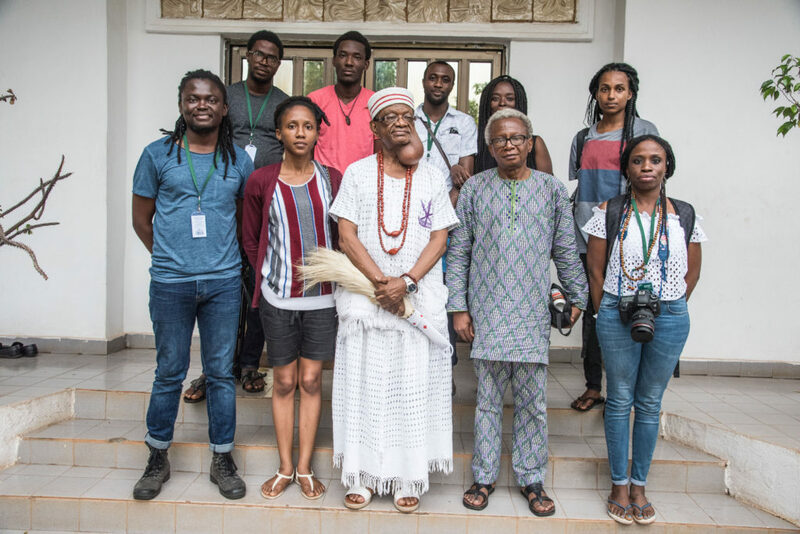 We were able to meet with both Professor Alagoa and the eminent writer Elechi Amadi on our first day in the city. On our second day we visited F.G.G.C. Abuloma where Borders Within participant, Zainab Odunsi, went to school. We had a good time talking with the girls and sharing experiences with them. Later on we visited Okrika Waterside. We were inspired by our meeting with Michael Uwemedimo, director of CMAP, an organization committed to helping the waterside communities of the Okrika area and beyond by giving them a voice and promoting partnership between the government and these communities. All through our travels our partners from Diamond Bank Nigeria have been with us, providing help and support, and documenting the events of the road trip. Our trusty Peugeot bus provided by Peugeot Automobile Nigeria has carried us, over roads good and bad, and the assurance of maintenance service from Peugeot Nigeria’s after-sales services throughout the trip, in case anything does go wrong, helps us rest easy and travel confidently especially at moments travelling from Asaba to Enugu. And, of course, our Nikon equipment has been with us, helping us better document our journeys and encounters. For all of this we remain grateful.